I.I.I.’s James Ballot, Senior Director of Marketing and Content Strategy, contributes these highlights from the IIS Global Forum 2017. Established millennia ago and since visited continually by perils ranging from fire, flood, pestilence, civil unrest and wave upon wave of attacking foreign enemies, it’s no great stretch to call London the de-facto global headquarters of resilience. So it’s fitting that London should host this year’s International Insurance Society’s (IIS) Global Insurance Forum (GIF), given that the event’s focus was set squarely on Global Resilience and the Role of Insurance. At the Forum more than 500 delegates and other attendees gathered to set a truly global agenda for how insurance and other parties–NGOs, policymakers, businesses, educational institutions, the media, among others—will respond to challenges ranging from political instability to cyberthreats to the need to create the right talent infrastructure to master the technological changes presently shaping our industry to innovating ways to address threats posed by intensifying natural catastrophe cycles. 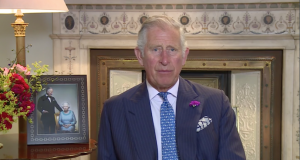 A video address from HRH The Prince of Wales to open the Day 3 Insurance Development Forum (IDF) in which he outlines four key areas where insurance can assume leadership in fostering resilience. Wide-ranging discussions of the “insurance gap” and how narrowing it is essential to building financial resilience against cyberattacks, as well as mitigating uninsured natural catastrophe losses among vulnerable populations in developing nations. The Nature Conservancy, a top-line partner at this year’s GIF, introduced an innovative insurance product underwritten by Swiss Re that insures coral reefs and other natural coastal fortifications. A lot to cover in a single posting, to be sure. For a deeper dive into the goings-on at IIS Global Forum, Asia Insurance Review (AIR) offers gavel-to-gavel coverage of the event, as well as valuable insights from Forum participants. Previous PostAutonomous ships are comingNext PostWhy are securities class action filings at record high?